One person’s trash is another person’s archaeological treasure. That’s long been the case, but it’s taken in a new direction by the recent analysis of an Egyptian stripy sock that was found in what was at the time a rubbish dump in Antinooupolis in Roman-era Egypt. The researchers believe the sock was made for the left foot of a child, showing separation between the big toe and four other toes. It used different colors of wool yarn. 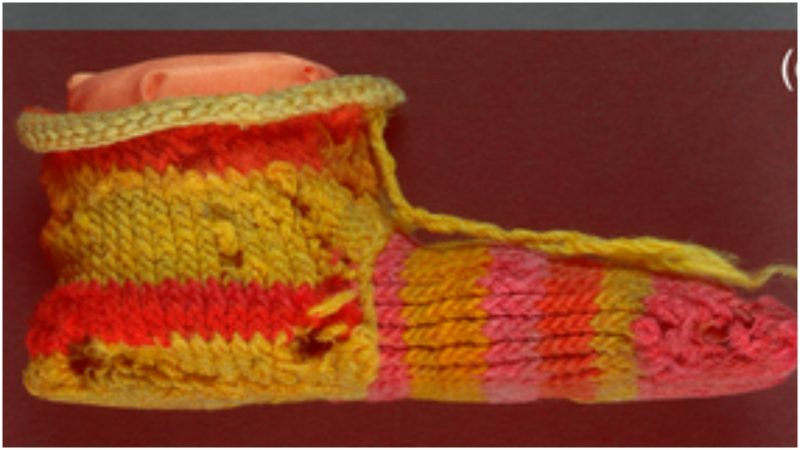 Many Egyptian socks found have a similar style: made of wool, bright color, with a section between the first two digits in order to wear with sandals. No one analyzed the sock until recently. Socks have existed since the Stone Age, but the ancient Egyptians are thought to be responsible for the first knitted socks. 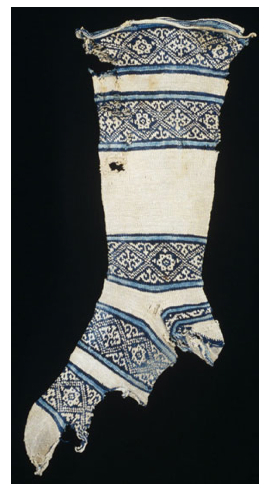 The sock was one of four ancient textiles examined, each selected from the British Museum “for their historical/archaeological importance.” Besides the stripy sock were fragments of textiles from Wadi Sarga. These objects are all held at the museum’s Department of Ancient Egypt and Sudan. 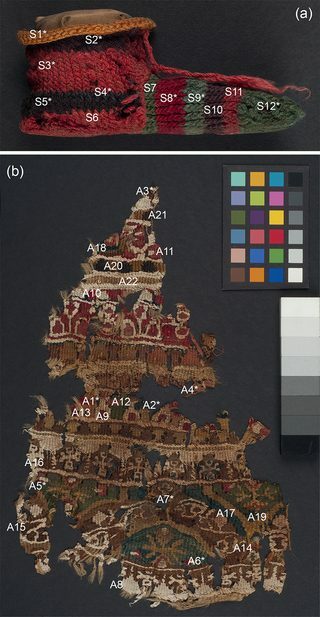 The imaging process is a cheaper, less time-consuming, and less destructive way of studying ancient textiles, she explained in the interview. “Previously, you would have to take a small piece of the material, from different areas. 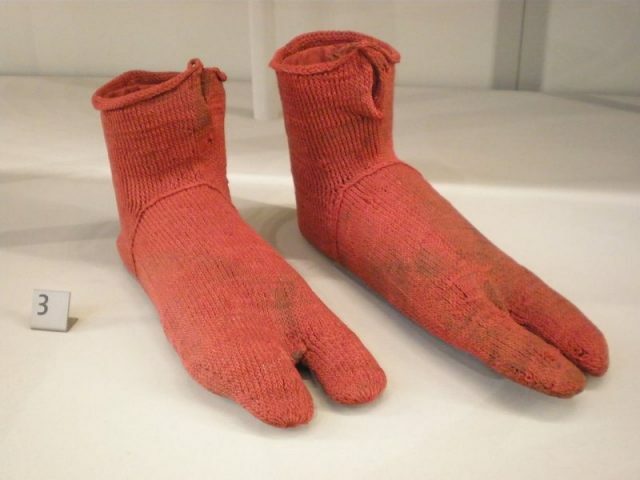 12th century cotton sock, found in Egypt. The 3rd century AD was a time of tumultuous change in Egypt. Roman influence had peaked. Ongoing economic change was seen in the growth of agriculture and the increasing concentration of wealth and culture in cities, not only Alexandria but also Antinoopolis in the Nile valley. Christianity was spreading, in an interesting form. “Christian hermits in the Egyptian desert began a new style of communal living, later known as monasticism,” according to the Met Museum. Whether the first monks wore stripy socks, though, is unrecorded.